As everyone is well aware by now, Egypt’s President Mohamed Morsi was overthrown last week in what some are calling a military coup and there are legitimate concerns about the possibility of a civil war erupting. Whether it does or not, it’s obvious at this point that Egypt will remain in some state of turmoil for the foreseeable future. It’s heartbreaking for all of the Egyptians that have simply been looking for a better government and way of life. It all seemed within reach just two years ago. 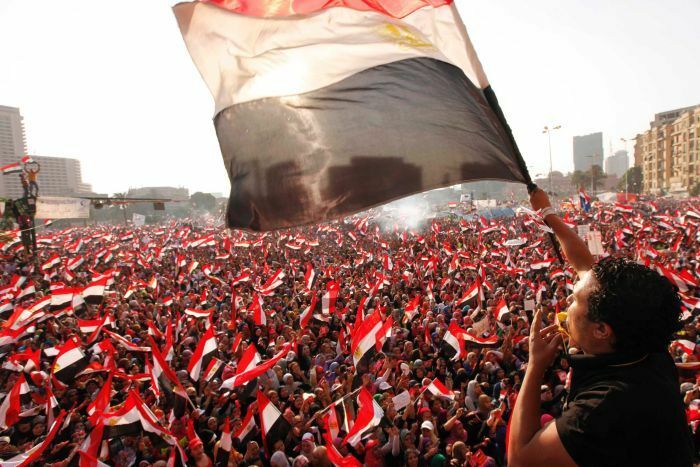 The Egyptian People do not trust the US Government and won’t likely be looking to it for guidance in reestablishing and stabilizing their shaky government. In the now constant flux of the Middle Eastern political landscape, the United States’ long history of financial and political support for tyrannical (many now toppled) regimes has not allowed it much real influence in the way the region is now being restructured. Egypt, for example, has a number of legitimate grievances against the US Government and is a prime example of the United States’ new found diplomatic impotency in the region. There is little argument now that it was this type of torture and police abuse which can generally be credited with sparking the revolt in January 2011. As the protest, international exposure and political pressure grew and Mubarak’s fate became increasingly apparent, the Obama Administration rolled out its official position via Secretary of State Clinton who came out publicly for “an orderly, peaceful transition to real democracy”. What was not included in this Sunday Morning News Show discussion—at least not by Hillary Clinton—was any mention of the long, dark history of cooperation with the Mubarak government. Indeed, up until that point, Egypt was not only touted as a major ally but was also a major recipient of US Foreign Aid—only second to Israel in total dollars received, though it’s discussed much less than Israeli aid. There are a number of reasons that Egypt was privy to over $50 Billion dollars in aid since 1975. It’s strategically important to have access to Egypt’s Suez Canal. It was one of the only Middle Eastern states relatively friendly with Israel, following its controversial entry into the Egypt-Israel Peace Treaty of 1979. Later on, shortly after the 9/11 attacks, Mubarak would prove his loyalty to the US during the “War on Terror” by participating in the infamous extraordinary rendition program which allowed the CIA to send detainees to other countries like Egypt for torture—they were, after all, well practiced with torturing detainees as I previously mentioned—and interrogation. Just a little trade-off: they torture our detainees to extract information and we don’t say anything about them torturing theirs. All in all, it could and most likely would be argued by any State Department official that Egypt got our political and financial support because, in a tumultuous and unfriendly region, it was the devil we knew. But there’s another reason, rarely acknowledged in political circles, that Mubarak’s government got the amount of aid money and political support that it did. They asked for it the Washington way. They lobbied for it. Right up until the very end. Even as the truths about torture and oppression became increasingly articulated, even as the Egyptian people began rallying to overthrow the government that had committed such atrocities for three decades, even as the civilized world began to turn its back on the dictator, an influential number of former congressmen turned powerful lobbyists worked the back channels of Capitol Hill to protect Mubarak’s government from potential embarrassment—for just a minor fee, of course. Over the course of the last six months of 2010, the PLM Group—a joint venture between the lobbying groups of former congressman Toby Moffett, former congressman Bob Livingston and K-Street superstar Tony Podesta—pulled in roughly $400,000 from the Egyptian government to stop a Senate Resolution that called on Mubarak to support “free, fair, transparent and credible” elections as well as bring an end to the Emergency Law that allowed authorities to “harass, intimidate, arbitrarily detain, and engage in violence against peaceful demonstrators, journalists, human rights activists and bloggers.” In the end, their efforts were undeniably successful and the resolution was killed thanks in large part to the bi-partisan efforts of Senators Diane Feinstein of California and (Bob Livingston’s close friend) Roger Wicker of Mississippi. A little over a month after the resolution died, the people of Egypt made Mubarak’s lobbying effort irrelevant and exposed the US Government on the wrong side of its supposed anchor value of freedom for all. The Egyptian People won’t soon forget. In spite of (or perhaps because of) all the recent chaos over embarrassing revelations of the surveillance habits of the US government, the Obama Administration pushed forward with its climate agenda last week and announced plans to further curb future carbon emissions. The plan, unveiled by the President during a speech at Georgetown University, called for the Environmental Protection Agency to establish more stringent carbon pollution standards for already active coal plants. As expected, the coal industry was quickly up in arms over the speech’s implications and moving forward with a massive, multi-million dollar public relations assault to counter the policy push by the Executive Branch. Of course, these types of PR expenditures by the coal industry have become increasingly commonplace as they enlist some friendly voices to push the narrative that the Obama Administration is actively trying to kill the coal industry. Coal can be a highly charged subject depending on which area of the country you live in and which party you tend to vote for. The argument for and against are generally framed in familiar fashion. 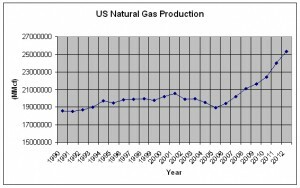 On one side, we have the progressive, environmentalist argument—generally accompanied with images of billowing smoke stacks and/or the sad, soot smeared faces of coal workers—that, regardless of the general accessibility and its claims of being inexpensive, coal is incredibly harmful to the environment and people and should be held to a high regulatory standard if not eliminated altogether. On the other side of the coin, we have the conservative, economic angled argument—replete with images of smiling, relatively clean coal miners standing proudly outside a mine lift and/or pictures of happy families gathered closely together, bathing in the warm glow of inexpensive electricity provided by coal power—that coal is not as hazardous as many deem it to be. In addition, they point out that as of right now, it’s cheap and locally sourced which means it provides Americans with jobs and spurs growth for the American economy with dependable, inexpensive energy. Both sides, at times, make valid arguments. What can’t be argued is that the coal industry is spending a veritable mountain of cash to convince Congress and the American public that it is still a viable energy option but in the process is ignoring some painful truths. Last year, the Coal Industry spent $17,361,948 on lobbying the Federal Government. (They also spent plenty of money lobbying various state governments as well, but that number is much more difficult to quantify.) In addition to pushing for favorable regulatory legislation, these lobbyists also work to make sure the subsidy spigot stays wide open. 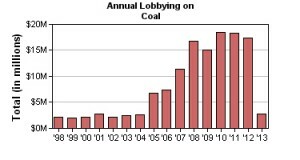 Along with official lobbying, the Coal Industry also spent a considerable amount ($13,391,247) on political donations in the 2012 election cycle. One such recipient of this campaign cash is Republican Congressman David McKinley of West Virginia. McKinley receives the lion’s share of his campaign financing from the Mining industry—an amount more than any other member of Congress. Does this mean that Congressman McKinley owes an oath of fealty to the Coal Industry? Not necessarily. After all, as Mr. McKinley likes to point out, coal mining is one of West Virginia’s largest industries and provides jobs to his constituents. But it becomes rather apparent when Mr. McKinley introduces legislation like H.R.2273—a bill which, among other things, sought to prevent the EPA from designating coal ash (“Coal Combustion Residuals”) as hazardous—that the Coal Industry isn’t exactly throwing their money away when they write him checks. Sure, it can be argued that the Coal Industry provides jobs for West Virginians but outside of the strange semantic wonderland of a well lobbied Congress and the halls of the Coal Industry, nobody in their right mind is arguing that coal ash is not hazardous. There is just way too much scientific evidence that confirms that coal ash is indeed hazardous. Not to mention, the recent instances of real world destruction that should lay rest to any notion that coal ash is some benign externality of necessary economic progress. Plainly stated, coal particulates are extremely hazardous and harmful, there’s just no way around it. Mitt Romney knew it before it became politically expedient to say otherwise. And that’s the bottom line. The coal industry spends a lot of money to make it politically difficult to state an obvious truth. The correspondence between coal lobbying expenditures and natural gas production is a hard coincidence to shrug off. Why do they fail to mention this more often? It’s more palatable to say that your industry is beleaguered by a spiteful administration with unreasonable regulatory standards than it is to say that your industry is taking a beating because it produces a more expensive product with more negative externalities than your competitors’. Perhaps worst of all for the coal industry, the argument that it is a major jobs creator in the US is becoming increasingly more difficult to make. As of 2012, the coal industry employed a total of 87,520 people according to the Bureau of Labor Statistics; a number that is only impressive without proper context. When compared to other industries, the number becomes rather paltry. The automotive industry, for instance, employs nearly ten times as many people. 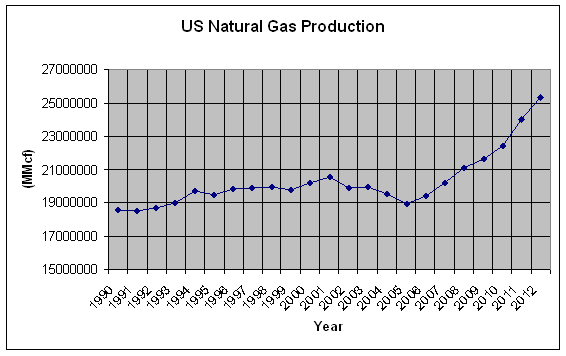 The Natural Gas Industry, coal’s closest competitor, employs 106,770. Even wind energy clocks in at a relatively formidable 85K employed. This isn’t to trivialize the number of jobs created by the industry or the plight of the common coal worker. That’s 87,520 people who rely on coal to put food on their table, a roof over their head, and in many cases pay for the needs of their children. They are justifiably concerned about their future. But the writing is on the wall. The sun is setting on the coal industry, just as it did on the once gargantuan whaling industry a century and a half ago. And this isn’t a bad thing. Just like the coal industry, whaling also supported and fed families, but if we had allowed whaling to exist continuously on life support through legislative favors and lobbied subsidies solely for the sake of the employment of a relatively small segment of the population we might still be filling lanterns with whale oil or, most likely, long ago witnessed the self-imposed death of the industry after it had extinguished the whale species from the oceans entirely. Instead, thankfully, we found more efficient sources of the energy the country needed to expand and thrive. We’ll do it again. It looks like we already are. In a previous post, I briefly went into the lobbying expenditures of Lockheed Martin—currently the largest US Federal Government contractor—and also highlighted a couple of blatant ethical transgressions. I wanted to follow it up by answering a question that many people might have: What is lobbying? There are two answers. The short, simple answer of what lobbying is supposed to be and the much longer, much more complicated reality of what lobbying actually can be and predominately is. In its simplest incarnation lobbying works like this (please forgive me if this comes across as patronizing, my intent is to provide a comparison, so just bear with me): Under the protection of the First Amendment, citizens in Congressional District ABC might discover that they have a collective problem with issue XYZ. They decide that they should get together and petition their representative to have issue XYZ resolved legislatively. They do so. After hearing the collective’s concerns, the representative makes the decision on whether issue XYZ truly affects the majority of his constituency and attempt to legislate accordingly. Why does this work as a system? In theory, a representative must rely on the majority of his constituents to vote for him to remain in office and would therefore be directly accountable to them. If he doesn’t do what the majority of his constituents desire of him he runs the risk of being voted out in favor of someone who will. Simultaneously, the representative has to develop working relationships with his colleagues in order to be an effective legislator and achieve the goals of his constituency so necessary to stay in office. Thus, a congenial congress would necessarily emerge and ultimately a legislative equilibrium which would generally benefit the nation as a whole. It should be apparent, particularly after examining the last three decades in Washington that this ideal scenario has not played out. To be fair, the authors of the Constitution weren’t naïve to the potential corruption of the lobbying system—James Madison famously weighed the implications of “faction” throughout his Federalist #10 essay— and certainly anticipated there to be questionable practices in small proportion as well as the possible rise of powerful professional lobby agents, like the 19th century “King of the Lobby”, Samuel Ward. What they couldn’t have reasonably anticipated though, and what has frequently debased the good intentions of the lobbying system, was the powerful rise of the modern corporation over the course of the late 19th and 20th centuries and the increased importance of campaign finance in the modern political landscape. Both of these factors have converged to give us the lobbying system and its rampant, systemic corruption. Having quickly covered the short, simple answer to what lobbying is, let’s take a look at one real world example of what lobbying actually is via Lockheed Martin. The first complication in defining lobbying is that, in reality, lobbying is actually an amalgamation of tools and tactics that various parties use to solicit influence. For instance, the amount of money that Lockheed Martin officially spent on lobbying last year (2012) was $15,347,350. What this number actually represents is the reported amount of money that Lockheed officially paid to lobbying firms like Podesta Group or Venable LLP or Carliner Strategies to lobby on their behalf—that is, to show up on Capitol Hill and arrange for time to speak with politicians on a variety of key issues with the hopes of influencing them to legislate in a particular direction. These conversations often occur in all sorts of ideal, vacation-like settings. Still, this doesn’t paint close to the entire picture. In addition to spending $15 million plus on official lobbying, Lockheed Martin is also responsible for a total of $4,034,489 in campaign contributions for the 2012 election cycle. $1,143,092 of this went to Political Action Committees, Parties and various other outside spending groups, while $2,891,397 went directly to candidates like Kay Granger (R-TX) whose district just so happens to contain a number of Lockheed locations and has, for reasons that should be apparent to anyone after viewing her political donation disclosure, helped the company out in numerous ways including pressing Taiwan to purchase Lockheed F-16’s that they didn’t want. For politicians like Granger, making sure Lockheed is happy is an easy win/win calculation. After all, legislating favorably for Lockheed means they stand to not only gain the hefty political donations that are so necessary for reelection but also, during their next campaign, they can point to all the jobs that they have created or saved via the Lockheed projects they supported on Capitol Hill. No politician wants to be perceived as a job killer. The problem is that what amounts to a win/win for politicians and congressional districts intertwined with Lockheed Martin, in many cases, ultimately amounts to a net loss for the rest of the country and the American taxpayer. I discussed the C-130 scenario in my last post, in which Lockheed, via direct lobbying of Congress in the late 1970’s, had managed to pull down a contract for 256 of the airplanes when the Department of Defense had only wanted five—many of which sat idle on tarmacs and in hangars afterward. Now, I’ll turn quickly to a modern program with similar results: the infamous F-35 Joint Strike Fighter. The F-35 is the most expensive military weapons program in US history. In accordance with standard practice, Lockheed has strategically stretched the influential jobs programs (and the corresponding congressional influence) for the project out across the country, covering over 47 states as well as Puerto Rico. The fighter jet program, which was initially quoted at $226 billion for around 2,900 planes and an operational start date estimated at 2012 has now ballooned into a cost of $400 billion for 2,400 planes, an additional $1 Trillion in maintenance and repairs over the programs lifetime and an operational start date now estimated at 2017. The increased cost had also made the Pentagon under Robert Gates consider terminating portions of the project. Lockheed consultant’s immediately rejected the cuts as unreasonable. When cuts to the program were formally submitted by House Representative Todd Akin, Lockheed lobbyist marched on the House Armed Services Committee. Unsurprisingly, the suggested cuts never came. Sound familiar? It should. It’s happened with numerous programs like the C-130, the F-35, and recently, in another example, when the Pentagon wanted to end General Dynamics’ M1-Abrams battle tank program, largely considered to be a cold war relic without much use in today’s defense (a program which already had more tanks sitting idle than actually deployed), they found their efforts thwarted “…after a well-organized campaign of lobbying and political donations involving the lawmakers on four key committees that…decide the tanks’ fate…”. It’s fairly standard play in the US armaments industry. The Pentagon wants to cut or drastically reduce an outdated or ineffectual weapons program that nets your company a significant sum, so you do an end-around the Department of Defense, toss some money to key congressional members, scare them about job cuts, pay some lobbyist to talk to the other representatives and voila, the program isn’t ended or cut and in some cases—like the C-130— might even be expanded. Your company and its shareholders win, the American military and taxpayers lose. This is what lobbying can be. It’s a shame the American public didn’t listen then. Michael Van Dorn lives in Atlanta, GA and writes about Lobbying Corruption on his blog Lobby Exposure.